I’ve been to Milestones a couple of times recently, once because I had a gift card and secondly for my brother’s birthday dinner. Both of these times we ended up going to the Coquitlam location. 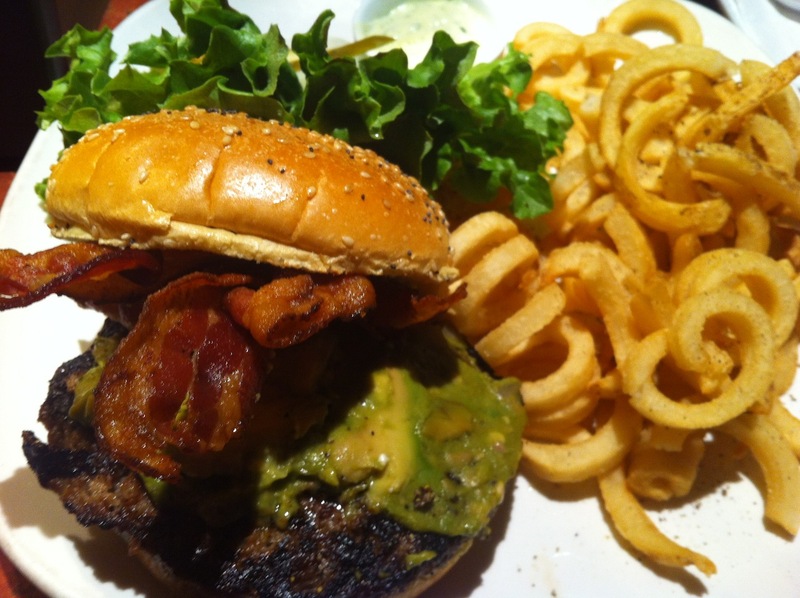 On my first visit I ordered the Milestones’ beef burger with the Californian toppings ($12.99). The Californian toppings consist of avocado salsa, tomato, and bacon. The avocado salsa is essentially just guacamole and I loved how creamy and rich it made the burger (I didn’t even miss not having cheese on the burger). The bacon was loaded on the burger and was perfectly crispy. The standard toppings like lettuce, tomato, onion, and pickles are served on the side of the burger so you can choose what you want to put on it. The beef patty has a crispy slightly charred exterior but is moist and juicy inside. I got curly fries as my side which are a nice change up from regular fries but sometimes I find they don’t get crisp enough. If you order fries you must also ask for a side of their watercress dip which is similar to a creamy ranch style dip and is so yummy. On my second visit I ordered the red curry chicken rice bowl ($16.99). The curry was made with chicken, red peppers, green onions, and a Thai red curry coconut cream sauce all placed on top of steamed asian greens and a bed of rice. There was a generous amount of chicken in the curry and it was more than I was expecting. The coconut curry sauce was creamy and rich, however, they were a little skimpy on the sauce and I wish they had poured a bit more on. The asian greens were alright but nothing too exciting. 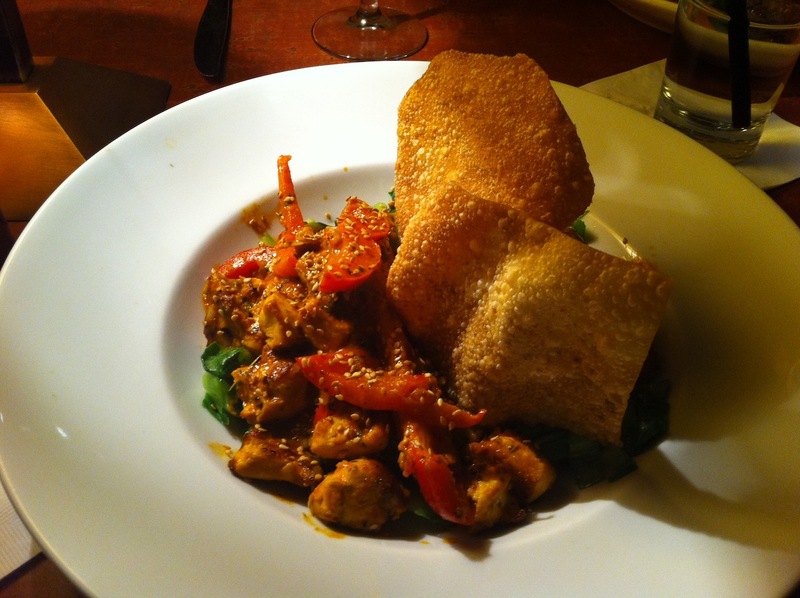 I liked the salty crispy chips they stuck in the curry, although it seemed a bit out of place. I didn’t mind this dish but I don’t know if it is worth paying $17 for. Overall Milestones is a decent chain restaurant. It isn’t my favourite place but their burgers taste great and they are what I usually come back for. I find most of their dinner entrées to be overpriced for what you get and although they taste fine they are a bit boring. Milestones has a good birthday deal where if three people buy an entrée the birthday person gets theirs for free (your friends can all order burgers and you can get a free steak!). Yes, for their burgers but skip their larger entrées.